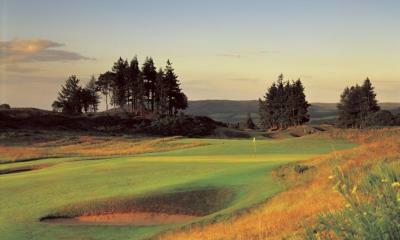 A Golf Trip to Scotland is more then simply a vacation - it is a golf pilgrimage. The scenery is exceptional, the locals second to none, the history and culture extensive, and of course the courses are considered to be the finest and most historic in the world. Every golfer knows names such as St. Andrews, Carnoustie, Royal Troon, Royal Dornoch, Brora, Nairn, Royal Aberdeen and Muirfield. These are as common to a golfers vocab as are birdie, bogey and par. And these famous courses are just a sample of what Scotland has to offer. A golf trip to Scotland is something every golfer needs to do once, but that's not to say you won't be back again and again. Global Golf Vacations Group Division offers a wide variey of customized Scotland golf itineraries all of which that can be Self Drive or Chauffered with van and driver. Have a look below at a couple of our most popular Scotland Group Golf Tours and feel free to contact us to customize your own unique Group Golf Tour of Scotland today. Day 2: Play North Berwick and visit Roxboroughe House. Day 4: Play Kingsbarns. 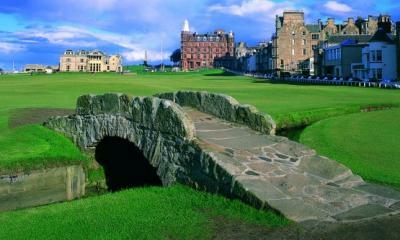 Stay at The Fairmont St. Andrews Golf 5 Star Hotel, x 4 nights. Day 5: Ballot to play St. Andrews Old Course. 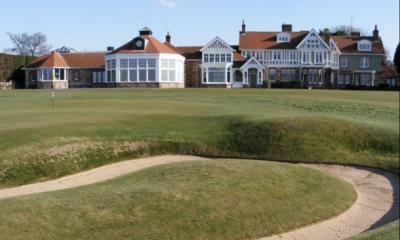 Day 6: Play St. Andrews New Course and visit The British Golf Museum. Day 7: Play Carnoustie and visit Glamis Castle. Day 8: Depart Edinburgh Airport. Valid May through Sept. Some dates excluded / Group Discounts apply for larger group sizes . Day 1: Arrive Glasgow Airport. Greeted on arrival by Golf Vacations Scotland. Collect car rental (GPS included in all our rentals). Stay at The Turnberry 5 Star Resort x 3 nights. Visit Turnberry Castle – please see additional touring info below. Day 2: Play Turnberry Kintyre. Visit Culzean Castle. Day 3: Play Turnberry Ailsa. Explore Historic Robert Burns Trail. Day 4: Travel scenic west coast of Scotland to The Isle of Mull – Stay at Glengorm Castle x 2 nights. Day 5: Explore the historic Isles of Mull and Iona. Day 6: Travel via Fort William to Inverness. Play Fortrose and Rosemarkie. 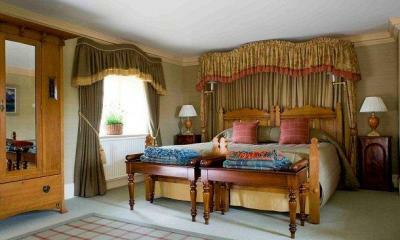 Stay at Water’s Edge 5 Star Guesthouse, Fortrose near Inverness x 3 nights. Day 7: Explore Inverness and Loch Ness. Day 8: Visit Glenmorangie Distillery. 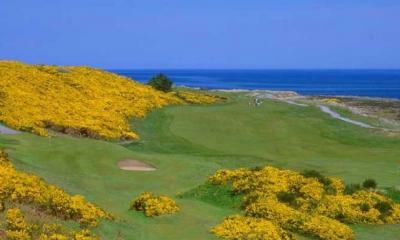 Play Royal Dornoch 2.30 (earlier times are reserved for members competition on weekends). Day 10: Ballot to Play St. Andrews Old Course. Day 11: Free for touring the coastal fishing villages of Fife or Ballot to Play The Old Course. Day 13: Explore Edinburgh, Scotland’s historic capital. Stay at The Bonham Boutique 4 Star Hotel, Edinburgh x 2 nights. Day 14: Explore Edinburgh, Scotland’s historic capital.